The success of the Banjarese with their sawah bayar had attracted genuine interest of the Netherlands Indies government. 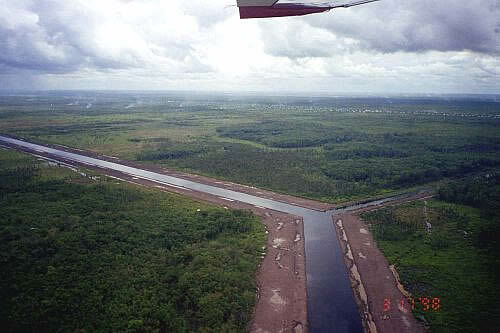 The government built channels connecting big rivers as Barito, Kapuas and Kahayan, across their interfluves or common delta plains. The channels were also meant to provide waterways to improve the accessibility of the area and the big cities. 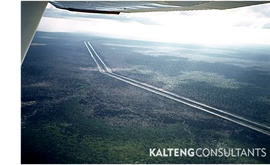 The first Channel built in Kalimantan, named Anjir Serapat (anjir = Channel), was finished in 1890, connecting the rivers Kapuas and Barito spanning a distance of approx. 28 km . A land-use conversion 1 Mio. ha (Mega-)-project for rice cultivation (including transmigration) started by the Indonesian government in January 1996. It is planned to develop an area of one million hectares in Central Kalimantan, situated between River Kahayan in the west and River Kapuas or River Barito in the east and Java Sea in the South. The total area of impact may be as much as 1 million hectares. It is proposed to use the remote sensing technology for all survey and planning tasks. 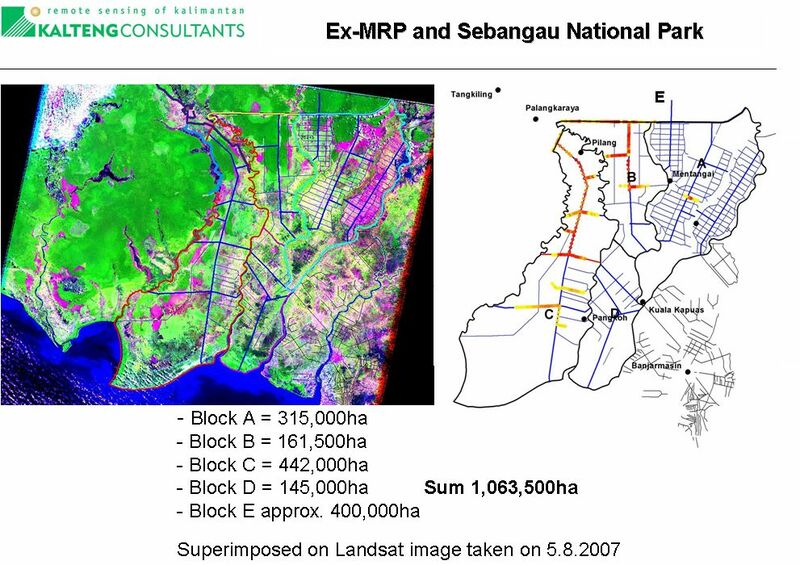 In order to undertake a global monitoring and survey in a short time it will be essential to use LANDSAT Thematic Mapper and ERS1/2 Radar images, linked to a programme of field checking of forest, peatland development and peat condition (including depth). A comprehensive literature survey must be carried out in order to assemble all published information, proceedings and institutional internal reports. All the data will be evaluated to prepare a detailed peatland analysis which will be stored in a Geographical Information System (GIS).